Amy Klobuchar: US Senator (D-Minn.) Elected 2006. 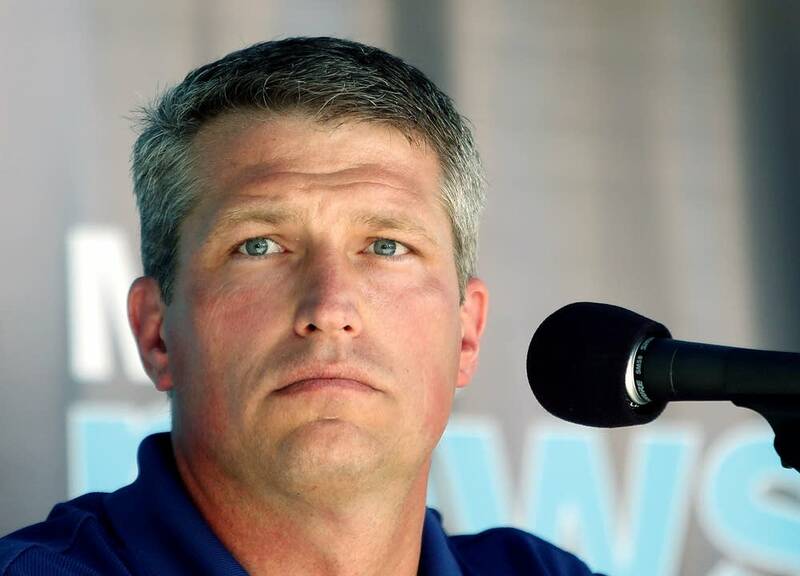 Kurt Bills: Republican US Senate candidate 2012. State Representative (R-Rosemount), elected 2010. 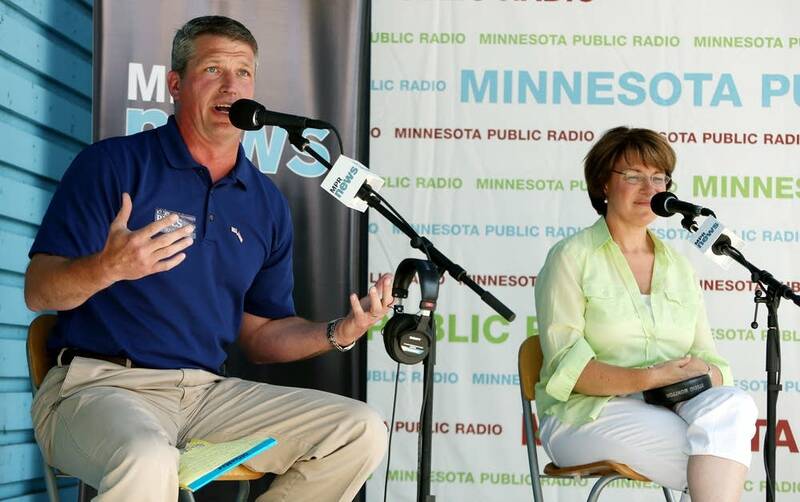 With only one debate under their belts and two more to go, DFL Sen. Amy Klobuchar and her Republican opponent state Rep. Kurt Bills didn't waste time on platitudes in their heated hour-long one-on-one meeting at the MPR booth at the Minnesota State Fair. 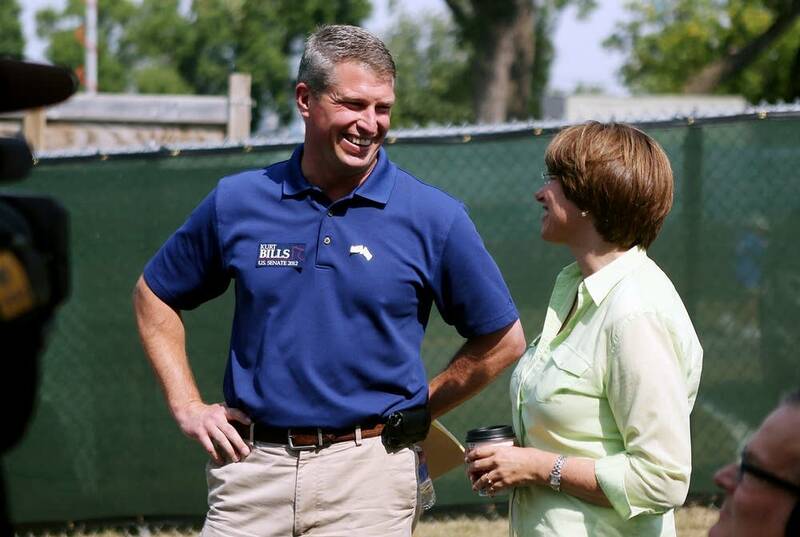 The pair, both vying to represent Minnesota in the Senate, traded barbs on nearly every major issue facing Minnesota and the nation, from taxes and the economy to the Obama administration's timeline for pulling troops out of Afghanistan. The debate was also a contrast in experience. While Bills sought to paint Klobuchar as someone who hasn't tackled tough issues during her nearly six years in the Senate, Klobuchar went out of her way to cite specific legislation she's worked on. Chief among those issues: job creation. Klobuchar said that growing employment is closely linked to helping Minnesota's businesses. She said she's worked to open export markets for small and medium businesses and on debt-related issues, including an effort to establish a debt commission, which Bills called a "cop-out." "We have learned in the last few years that we are not going to be a country that can move our economy forward by churning money on Wall Street," Klobuchar said. "That didn't work very well for us. What will work is if we make stuff again, invent things, export to the world. That's how we move this country forward." Bills had a different take on improving the economy, one that echoed a key message of his campaign and that of the Republican Party's: Congress needs to pass a budget and government needs to get out of the way. "The last 10 years we've added $10 trillion in debt, we've carved out the tax code for every last interest group who could hire a lobbyist," Bills said. "We've added thousands of pages in regulation. You name it, we've done it in the last 10 years." "I think where there's been a real deficit in Washington is again a deficit to lead on the big things," Bills added, a nod to the campaign theme he's been honing for months that Klobuchar has failed to work on big issues. Klobuchar said that the budget plan Bills has endorsed, which was written by Sen. Rand Paul, a Republican who represents Kentucky, is too extreme because it eliminates several federal departments and turns Medicare into a voucher system for current and future enrollees, among other things. She also rejected Bills' claim that the Senate hasn't done anything to address the debt. She pointed to the Budget Control Act, legislation that raised the nation's debt ceiling but also included $2.2 trillion in deficit reduction. Bills implied that the legislation didn't count as a budget. But Klobuchar pointed out that, unlike the traditional Congressional budgets which don't have the force of law, the Budget Control Act does. Bills supports a flat-tax, which he says would make the tax code more progressive and simpler. "If you wanted to get rid of loopholes, for the wealthy, I'm your guy because I'll get rid of all of them," Bills said. Klobuchar said economists have found that flat-tax plans actually cut taxes for the wealthy. It's the middle class that should be getting a tax break, she said. To that end, Klobuchar supports extending the Bush-era tax cuts for those making $250,000 or less. Klobuchar is leading Bills in fundraising and in the polls, and during the Republican primary earlier this month, Bills won by only 51 percent against two more obscure GOP candidates. But to some degree, Bills has embraced his outsider status by contrasting his work as a high school economics teacher and his relatively short two-year tenure in the Minnesota House with Klobuchar's ties to Washington and her campaign donations from wealthy donors. "This election is really not even Republican versus Democrat anymore. It's America versus Washington, D.C.," Bills said. Part of that strategy has been to portray Klobuchar as out of touch with what's important to Minnesotans. He pointed to a recent news article that said the war in Afghanistan has been largely left out of the debate this election year. "Six years ago, [Klobuchar] ran appalled at the war in Iraq," Bills said. "Now six years later, there's over 3,500 soldiers dead." But Klobuchar said that she has made the war and veterans' issues a key part of her work in Washington. 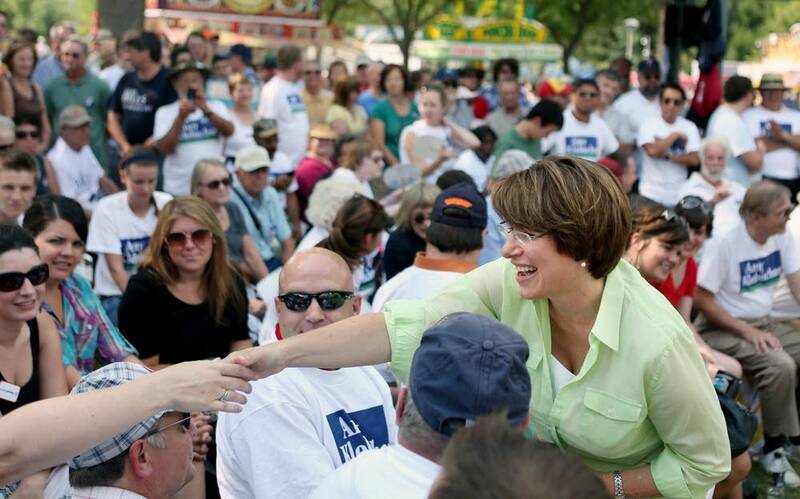 "I have stood up for our veterans, and I don't think there's any doubt about that," Klobuchar. The proof, Klobuchar said, is in her record, citing legislation to help homeless vets, an effort to help members of the National Guard get better benefits, and her participation in a group of 28 senators who asked the president to bring the troops home from Afghanistan soon. Before wrapping up the debate, Klobuchar also pointed out that she has a record of working with people she doesn't always agree with, including Reps. Michele Bachmann and John Kline, both Republicans. But Klobuchar also voted with her party 94 percent of the time this session, according to the Washington Post. Klobuchar also brought up Bills' legislative record, pointing out that he doesn't have much of one. "I'm sorry Rep. Bills, but you haven't passed even one bill that even got signed into law," Klobuchar said. Bills responded by saying that the one piece of legislation he authored that did pass, a bill that would have provided businesses with a tax credit if they hired veterans, was vetoed by Klobuchar's fellow Democrat, Gov. Mark Dayton.